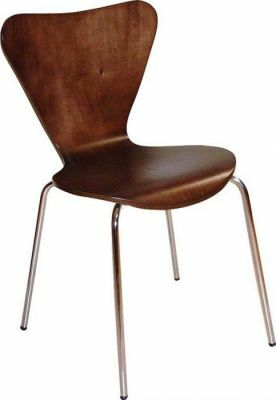 Classic Keeler style cafe chair, with a curved triangular shaped back and round seat, stained to a Wenge finish. Available from stock and delivered in 2-3 days. Our take on the classic Keeler style chair but stained with a popular dark Wenge finish.